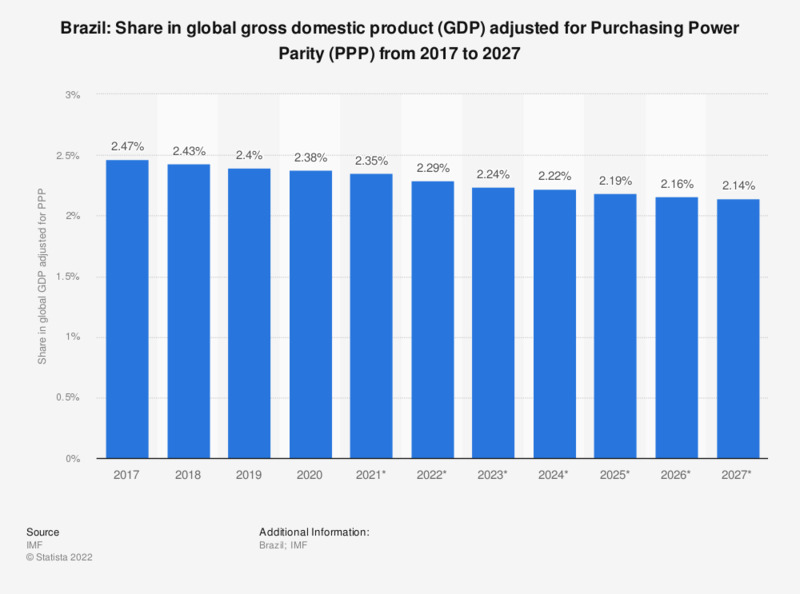 The statistic shows Brazil's share in the global gross domestic product (GDP) adjusted for Purchasing Power Parity (PPP) from 2014 to 2024. In 2018, Brazil's share in the global gross domestic product adjusted for Purchasing Power Parity amounted to approximately 2.49 percent. Everything On "Brazil" in One Document: Edited and Divided into Handy Chapters. Including Detailed References.